Suge Knight was sentenced to 28 years in prison on Thursday (October 4) afternoon for the murder of Terry Carter. Suge struck a plea deal for the sentence on September 20, days before standing trial for murder and attempted murder. 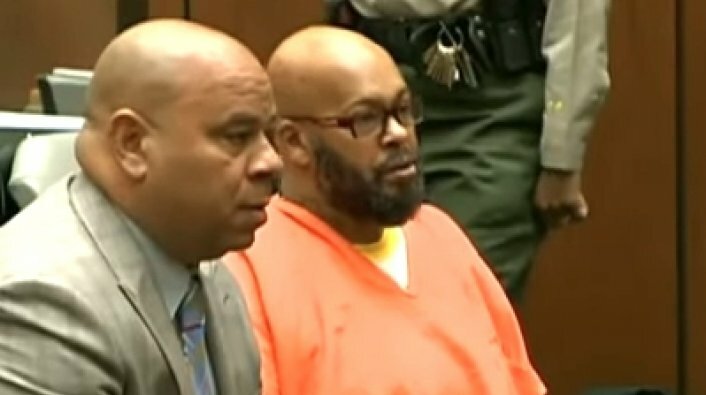 According to TMZ, Suge Knight has struck a plea deal in the murder case of Terry Carter this afternoon (September 20). Suge was facing life in prison for killing Carter in 2015 in the parking lot of Tam's Burgers in Compton. He also ran over Cle "Bone" Sloan," who was injured but survived. Suge has maintained that he wasn't trying to hurt Sloan or Carter and says he was trying to escape after believing that they were both about to shoot him. Suge has been behind bars awaiting trial since the 2015 incident.